Trip of a Lifetime to Moscow - May 9th to 13th! 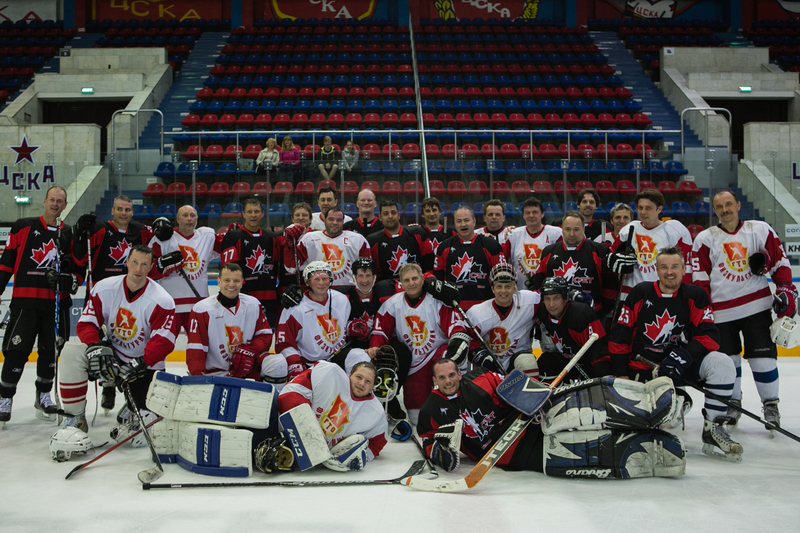 The International Hockey Friendship Cup 40+ in Moscow provides an adult tournament getaway like no other. 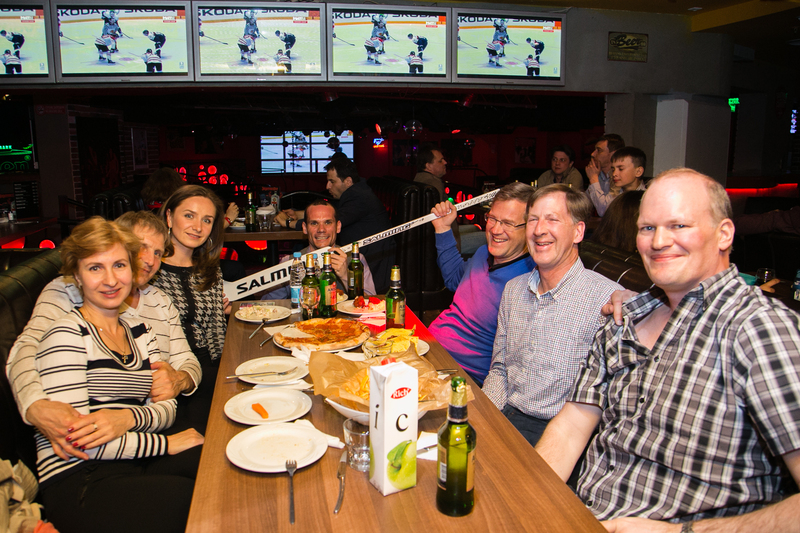 Great hockey action and partying with a touch of culture in the heart of Russia. We recently sat down with Steve Basadur, co-founder of the tournament, to ask him a few questions about the experience. Check it out and you'll probably want to go! When and why did the Moscow Friendship Cup start? This event, which takes place in May, is formally in its third year. The tournament's roots, however, go back more than a decade, to a time when I was working at the Canadian Embassy in Moscow. Because I speak Russian and am very familiar with Moscow, I became the embassy’s unofficial hockey go-to guy and organized a lot of events. This brought me into contact with a group of old-timers playing pick up at CSKA arena, which is the Red Army’s old barn. This was truly an international group with players from Canada, Russia, the US, Finland, France and the Baltics. All the guys shared an especially strong passion for hockey’s social side and we soon began organizing informal tournaments with like-minded enthusiasts in and around Moscow. From there we took our show on the road, playing in various old timers’ tournaments in Europe and Canada. Most of us have since moved on from Moscow. The Friendship Cup offers a great chance to carry on this tradition while making new friends and experiencing Russian culture and the great city of Moscow. This is truly a grassroots event. We offer participants a once-in-a-lifetime opportunity to discover Russia and its culture through the eyes of its hockey players. We are probably the only tournament that caters to individual players as well as traditional teams by offering such players the opportunity to play on one of the Russian teams, which we hand pick to ensure camaraderie and language compatibility. I retain a strong connection to the hockey community in Moscow, which allows IHFN 40+ to open doors that would otherwise be closed. For example, we play our games at CSKA arena, home of the legendary Red Army, and have full access to this facility. Participants can also count on a private tour of Russia’s Hockey Hall of Fame led by a bona fide Hall-of-Famer. My Moscow partner and I personally organize all activities. We roll everything into one package – hockey, accommodations, airport transfers, sight-seeing and local entertainment. We can also organize airfare. IHFN’s local presence entitles tournament participants to excellent discount rates on accommodations. The last two years our guests stayed at the five star Golden Ring Hotel, which is located in the heart of Moscow’s historical district and within walking distance of Red Square. Last, but definitely not least, our local team knows all the best pubs, night clubs and other interesting entertainment locations that Moscow has to offer and we organize tours to these venues. It sounds as if this tournament could create lifelong memories; does anything stand out from the tournament in past years? That is an understatement! During the post tournament party in 2016, one of the Canadian players challenged one of the Russians – I think the Russian was a goalie – to a vodka drinking contest. Not the best decision this individual has ever made, that’s for sure. In any case, it made for a very interesting grand finale to the party, not to mention return trip to the hotel on the Moscow subway. This player’s teammates got some good-natured payback the following day by sending him out for the opening face-off and then not letting him return to the bench for three consecutive shifts. This year’s Canadians also worked hard to keep up with their Russian peers in the vodka department and more than held their own doing karaoke during post-tournament festivities and on the dance during the night club tours. Is this a competitive tournament or more of a fun, social tournament? Absolutely fun and social. We have a mix of stronger and weaker players from Canada, and we get different levels of Russian teams. We screen all local teams to make sure their level and ages are adequate. We also take great strides to emphasize the recreational nature of the event. We accept all levels, individuals and teams that are 40+. If hockey players are trying to decide between overseas tournaments, why should they choose the Moscow Tour? This is a trip of a lifetime. We customize every aspect of the tour. Obviously, getting the right mix of levels on the hockey side is a priority. However, we work equally hard to ensure there is plenty of opportunity for off-ice socializing which allows for a more authentic perspective on Russians and their culture. Secondly, getting onboard with the Moscow tour is simple. You just register and pay and we take care of the rest. For more information on Moscow Trip 2018, contact Steve Basadur at 613-889-4835 or visit their Facebook page!